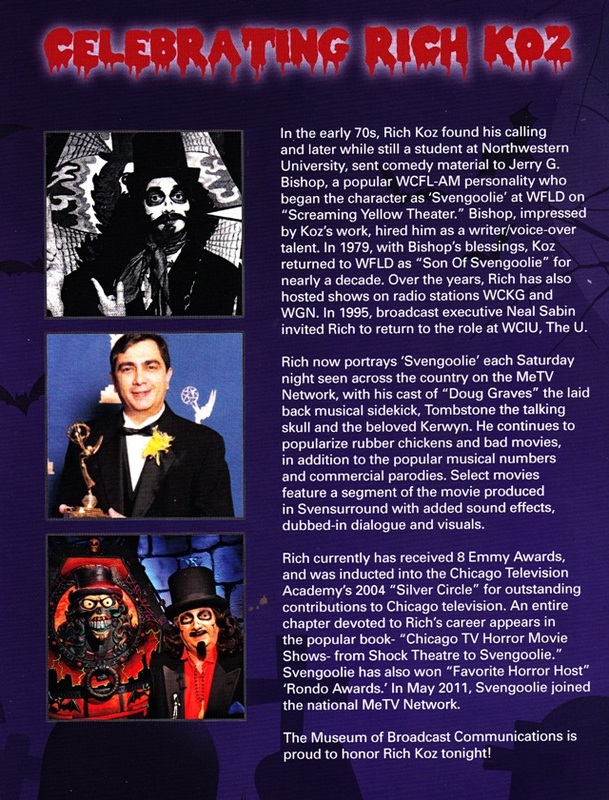 Accolades for Rich Koz & the 35th Anniversary of Svengoolie! 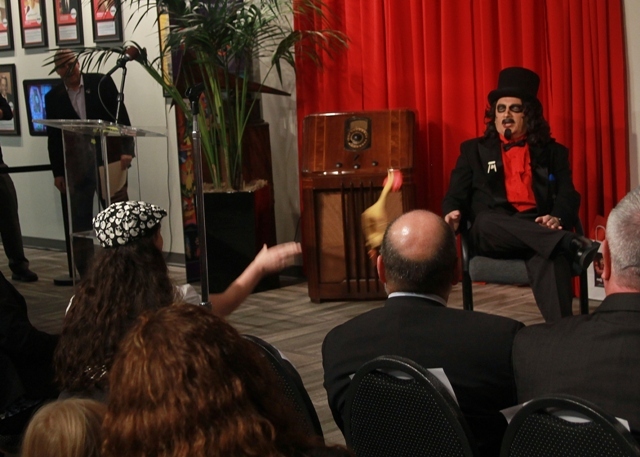 We’d no sooner taken our seats in a special area located on the second floor of The Museum of Broadcast Communication, when we were back up on our feet cheering the arrival of Svengoolie. 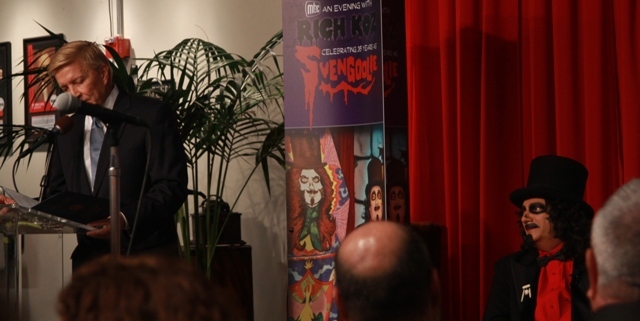 The man of the hour, Rich Koz, was celebrating his 35th anniversary as Chicago’s (and now the majority of this country’s) TV horror host and the room was chock full of devout fans and prominent citizens eager to participate in this one of a kind event. It was a serious affair that might otherwise seem in direct contrast to a career built on never taking himself too seriously though, in this case, well-deserved. Koz has not only broken all the laws of conventional wisdom by keeping his character on commercial airwaves for over three decades, but has defied the odds even further by taking the show to a national audience; a position he’s now held for over three years with no signs of waning. 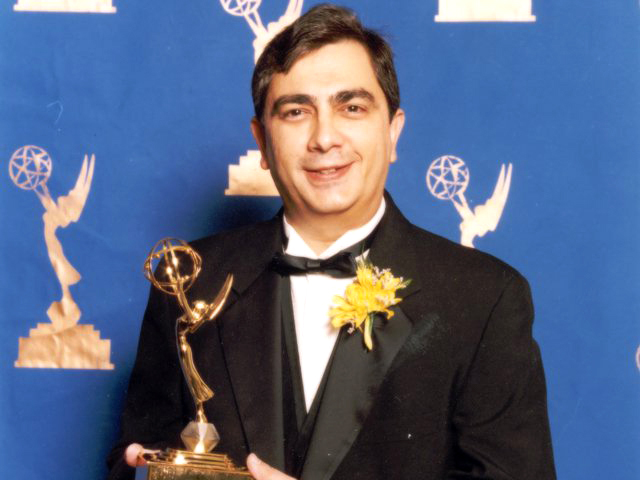 He’s also one of the most decorated hosts with multiple local Emmy Awards as well an induction into the Silver Circle (Chicago’s chapter of The National Academy of Television Arts & Sciences). 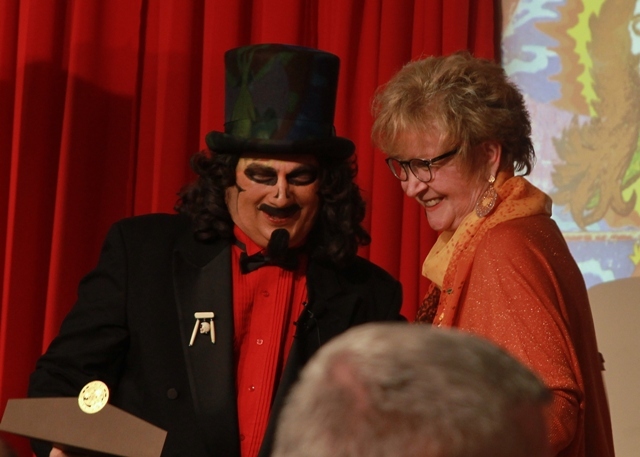 7:00 pm: The room quieted as Svengoolie settled on stage and the night’s first speaker stepped up to the podium to read the nights “Welcome.” Bruce Dumont, the Museum’s founder, has a lifelong career in broadcasting and currently hosts a national radio show called Beyond the Beltway. 7:05pm: Next up was Chicago Alderman, Bob Floretti, who has served on Chicago’s City Council since 2007. 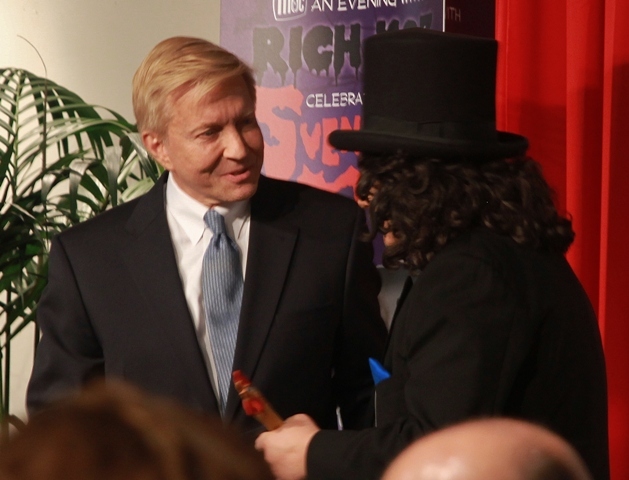 Alderman Floretti read the Proclamation declaring October 31st, 2014 “Rich Koz – Svengoolie Day” in the City of Chicago. Representative Hatcher (looking quite elegant in festive orange) continuously pronounced Rich Koz as Rich Kahz (it’s should sound like K’Ohs) and, after the third time doing so, started to cause us die-hard fans to bristle in our seats. Finally it got to the point that every time she mispronounced his last name, members of the audience would chime in with a correction; reminiscent of a LIVE viewing of The Rocky Horror Picture Show. 7:15pm: Neal Sabin, Vice Chairman of Weigel Broadcasting (a.k.a. 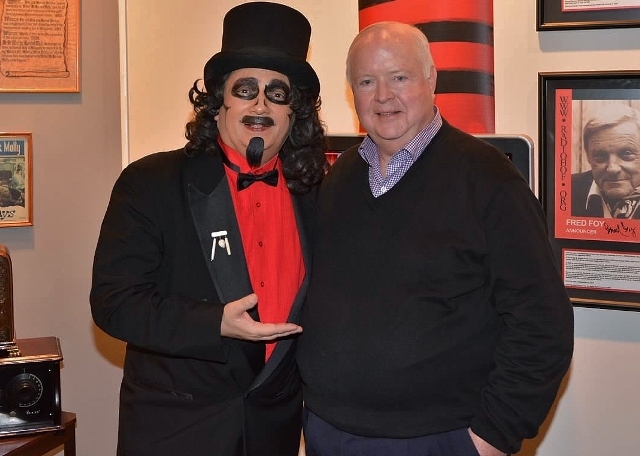 Sven’s boss), gave an official “Salute” to Svengoolie! 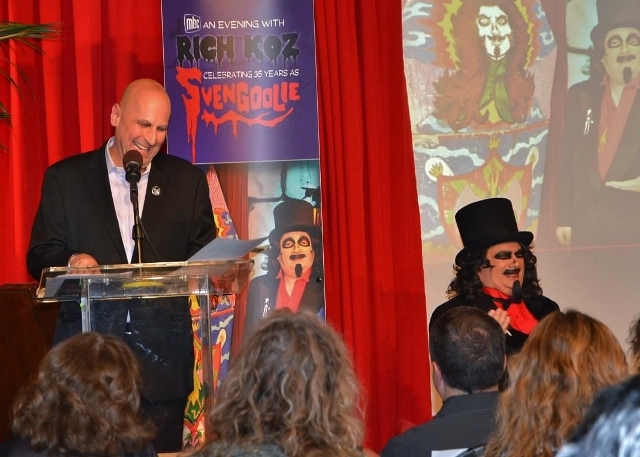 7:20pm: David Plier, VP and on the MBC Board of Directors as well as host of his own WGN Radio Show, presented a comical “Rich Koz as Svengoolie: 35 Years of Excellence. 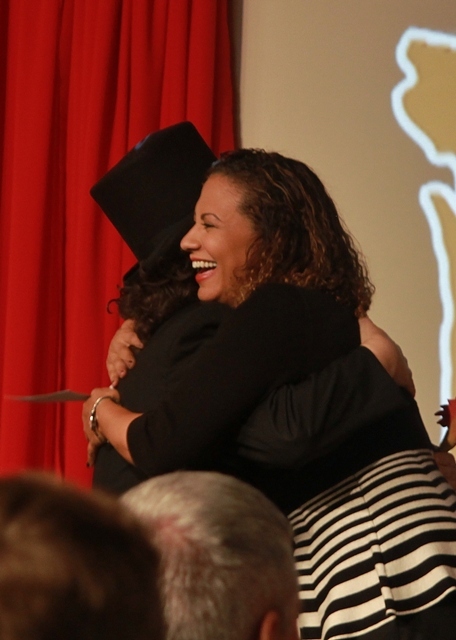 The video presentation was one hosted by Rich’s predecessor and mentor, the late Jerry G. Bishop, from a spot that aired ten years ago. It was a nice touch having Bishop’s voice being heard at this event. 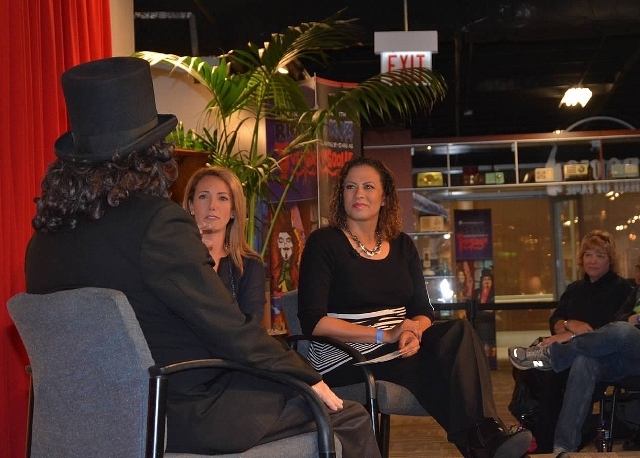 Melissa Foreman and Jeanne Sparrow from the “You & Me This Morning” show recreated their program for everyone via a “Live” interview with Svengoolie. It would be just a few weeks later that he’d find his way back on their couch and the ladies would don their own horror host make-up in honor of “Svengoolie – Rich Koz Day” (scroll back a few posts and you can see Jim Roche’s great images from that busy occasion). Our friend Jamie Lee Cortese (a former station intern) demonstrated the correct way to hurl a rubber chicken at the host. She’s had some practice at it and was encouraged to share her expertise via Melissa Foreman. With the night’s presentations over it was time to head back up stairs for the moment we’d all been waiting for. 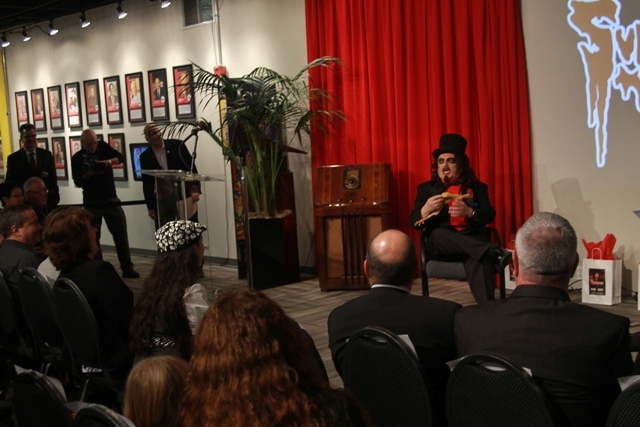 The unveiling of the museum’s new Svengoolie exhibit! 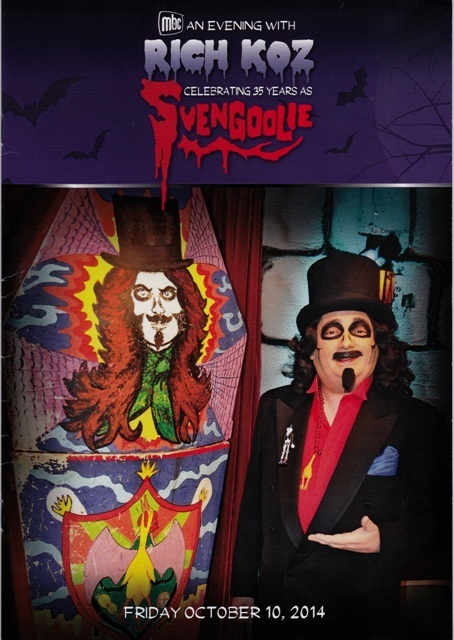 Coming up: The Final Resting Place of Svengoolie’s Old Coffin! This entry was posted in Horror Hosts, Stalking Svengoolie! and tagged Chicago Museum of Broadcast Communications, Jerry G. Bishop, Rich Koz, Svengoolie. Bookmark the permalink. ← Rhode Island Comic Con…Despite Its Issues Still A Fun Event!